A Hamas rocket fired on Friday hit a building in the Shaar HaNegev area there were no injuries. 2 others were intercepted by the Iron Dome defense system. During the time of the rocket fire in Kfar Gaza there was a gathering in honor of Oron Shaul’s birthday. Oron was captured and killed by Hamas and his body is still held by the Hamas to force the release of Hamas prisoners in Israeli prisons. Labor party leader Avi Gabbai attended the gathering along with MK Job Kara. The gathering was interrupted by the rocket fire for a few minutes and resumed. 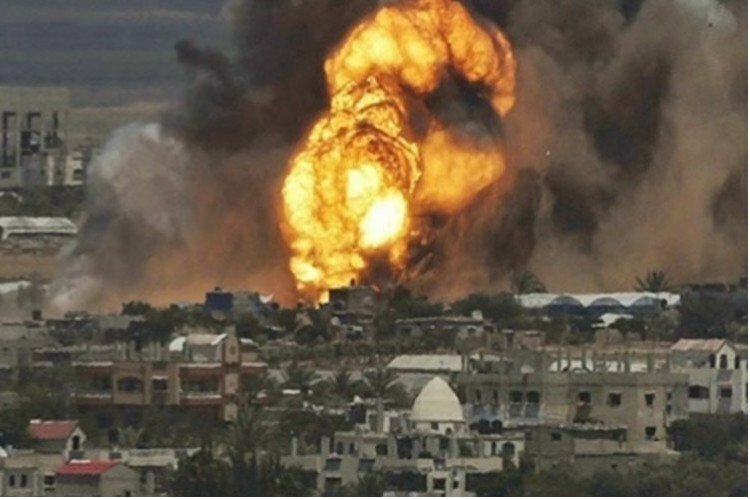 The IDF attacked 2 Hamas posts in Northern Gaza with planes and tanks immediately after the fire.